It’s a sniper rifle. With what looks to be flaming bullets. 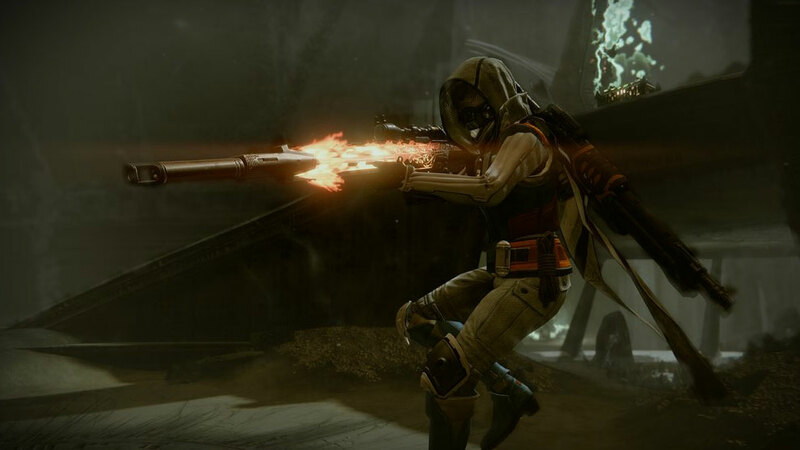 Bungie’s revealed Destiny’s latest PlayStation-exclusive content – the Zen Meteor sniper rifle. The online shooter’s latest gun will arrive with the April 12 update – which also adds a new strike, new Taken-style gear, a new consumable called Sterling Treasures and much more – and is currently the subject of some secrecy: no one yet knows its specific perks. Jon Weisnewski, Destiny’s senior gameplay designer, has dropped a heavy hint that there’s going to be some kind of incendiary element to Zen Meteor, however. He responded to a question last week as to the identity of the rifle’s signature perk with a bunch of flaming emojis, as you can see below. This would tally with the only other images so far seen of the gun, on of which clearly shows it on fire. Which is all well and good, unless, of course, you’re playing on Xbox One. Zen Meteor is the latest PlayStation exclusive content to hit Destiny as part of Activision’s ongoing perferential deal with Sony. There’s a good chance you’ll have to wait a very long time to use Zen Meteor, if you ever get to grab it at all. Hawkmoon, the fabled PlayStation-exclusive hand cannon usable by PS3 and PS4 players from launch in September 2014, was only made available to Xbox players with the release of The Taken King, the large expansion that launched a full year later. 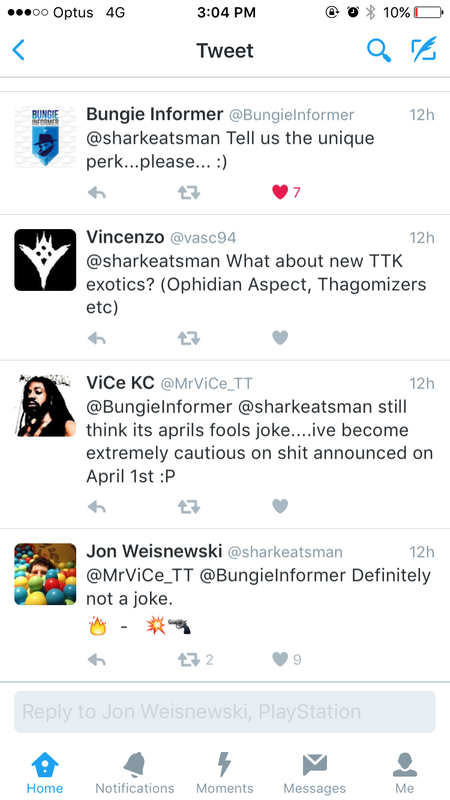 Destiny’s April 12 update is looking to be a corker, especially given Destiny’s players haven’t had any new substantial content since The Taken King seven months ago. Be sure to check out everything we know so far about April update, and start preparing to set opposing guardians on fire with your lovely new Zen Meteor. Yummo.